4 Bedroom Detached House For Sale in Milton Keynes for Asking Price £440,000. One the ground floor the property comprises front and rear doors, an entrance hall, kitchen/breakfast room, wc, and a lounge also with access to the garden. On the first floor, there is a Master bedroom with shower, three more double bedrooms and a family bathroom. 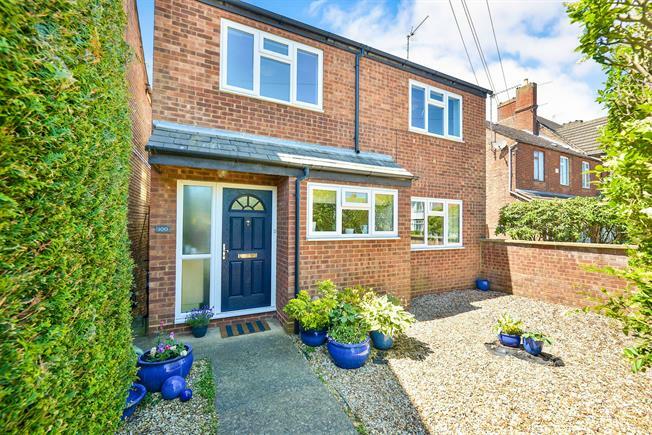 Outside there is a lovely south-facing rear garden, paved driveway with parking for several vehicles behind a gated access and a separate garage and car-port. UPVC back double glazed door, opening onto the garden. Double glazed uPVC window facing the rear overlooking the garden. Double glazed uPVC window with frosted glass facing the side. Two pieces suite comprising of low level WC and basin. Double glazed uPVC window facing the rear overlooking the garden. Tiled shower cubicle with wall mounted shower mixer. Double glazed uPVC window facing the front. Fitted wardrobes with sliding doors. Double glazed uPVC window facing the rear overlooking the garden. Fitted wardrobes with sliding doors. Double glazed uPVC window with frosted glass facing the side. Three piece suite comprising off low level pan, wash basin and panelled bath with wall mounted shower and screen.